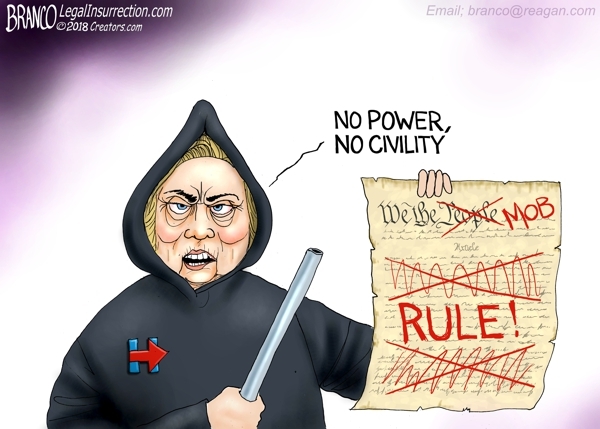 Hillary Clinton endorses Mob Rule calling for no civility as long as the Democrats are out of power. Political Cartoon by A.F. Branco ©2018.